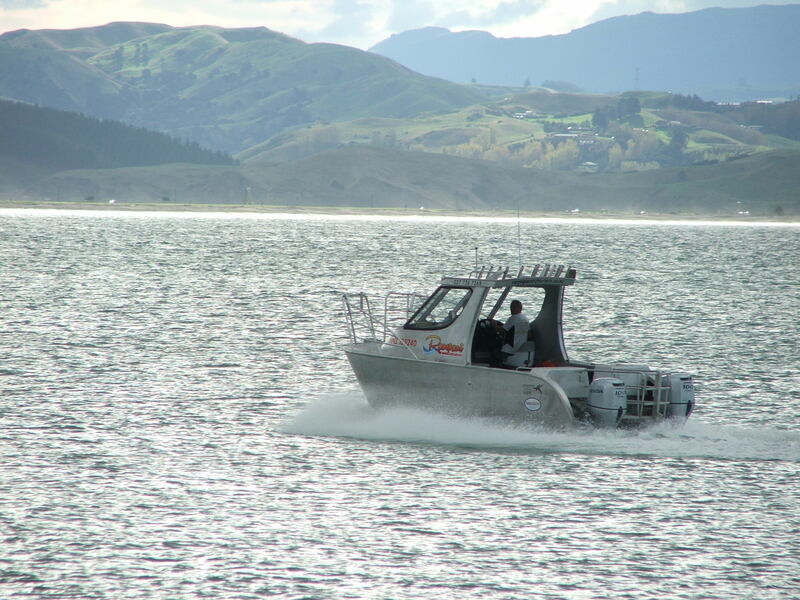 The boat is an 7m Blade runner alloy catamaran with twin 100hp four stroke HONDA outboards. It has a cruising speed between 20 ~ 25 knots. 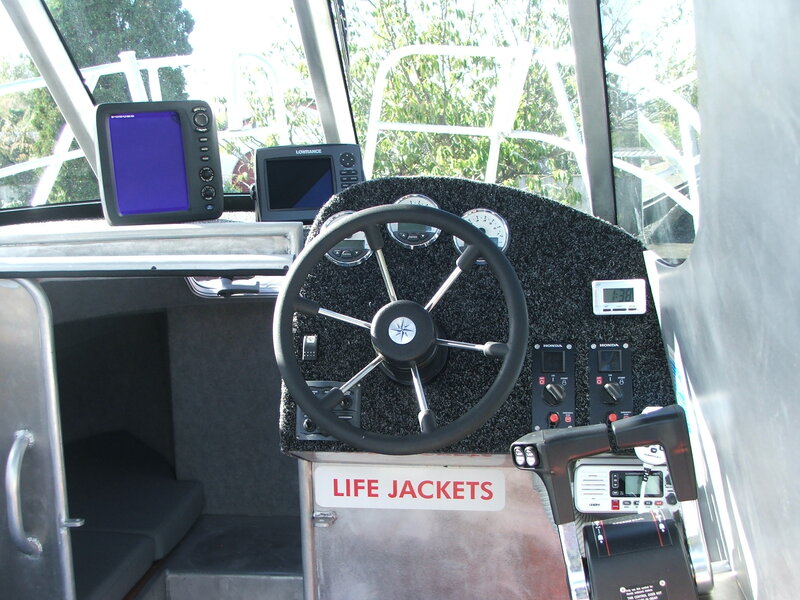 The vessel has a good sized working deck area with a fully railed duck board and more room to fish on the bow if you so desire. 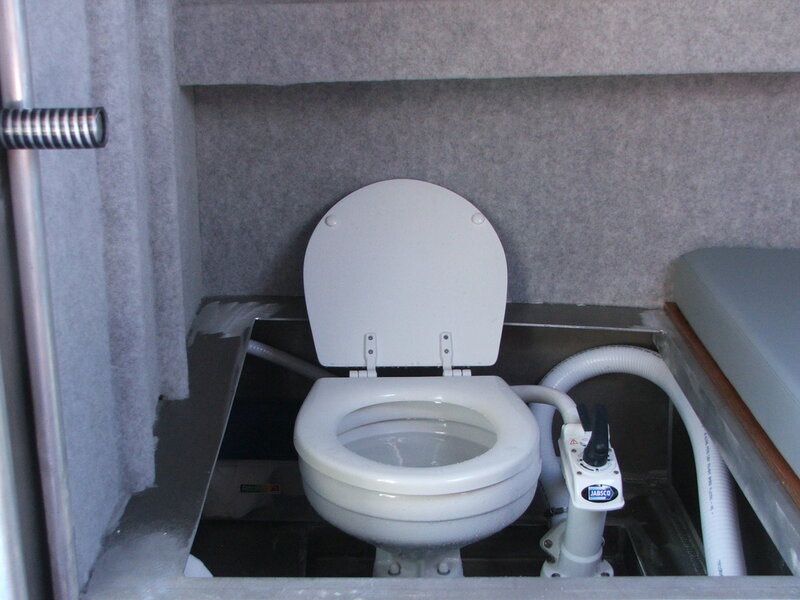 The cabin has a large hard top with an enclosed cuddy cabin with a toilet inside. 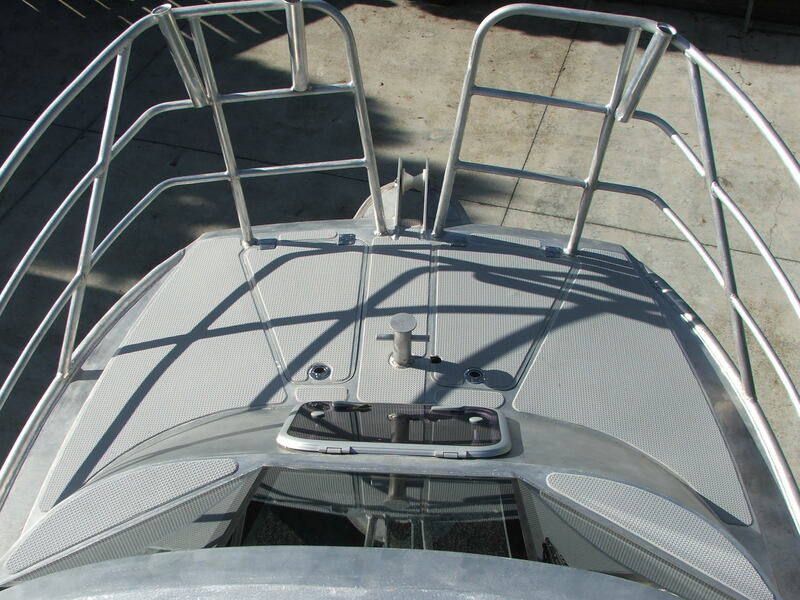 The duck board has a drop down gate in the middle that doubles as a dive ladder. 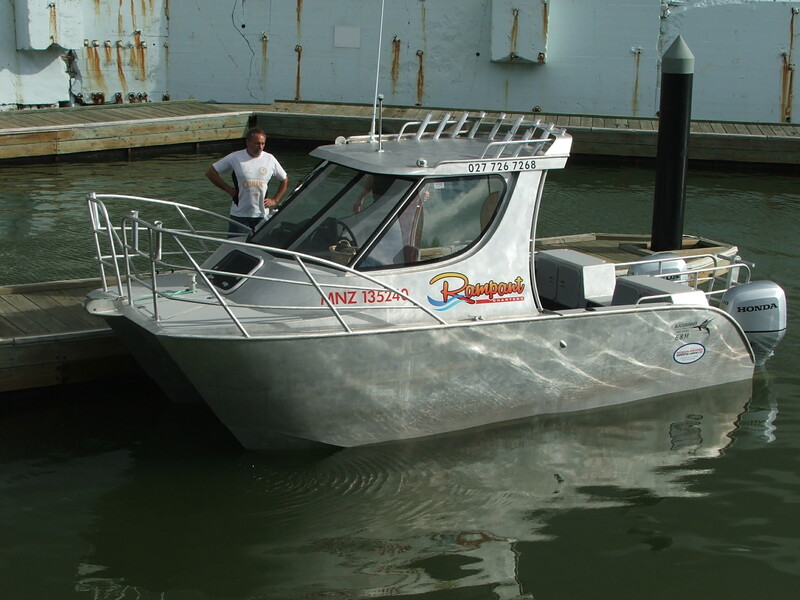 It will be surveyed for 7 anglers or 7 passengers for cruising.